How does the College Operate? 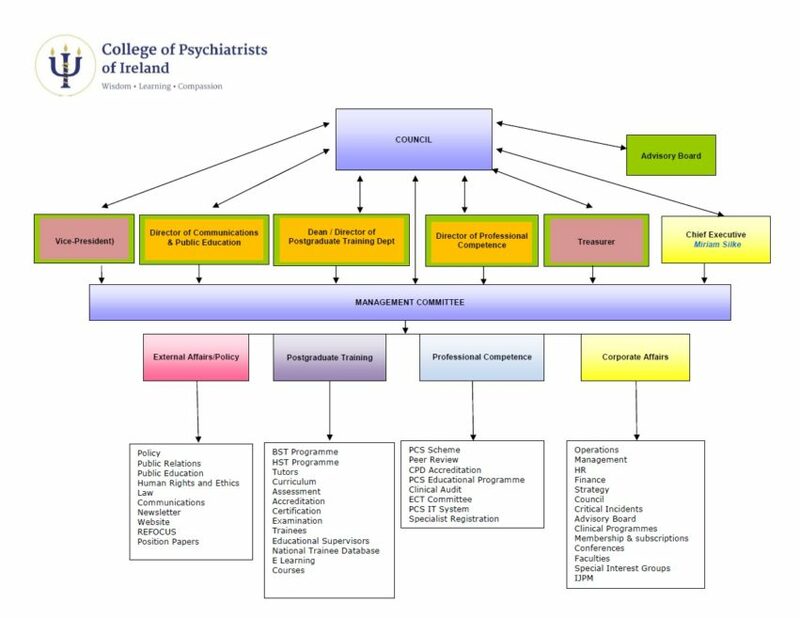 The College of Psychiatrists of Ireland has a professional administration team who provide support in all areas of the College functions. Decision making processes and governance are guided & provided by a Constitution, Council & the Management Committee. Council is the governing body of the College. The Management (Executive) Committee, which is responsible for the day to day business of the College, meets monthly. Items for discussion or decision go to the Management Committee first before being included on the Council meeting agenda. Faculties also play a fundamental role in the operation of the College and its objectives.